Modern digital game distribution makes buying and installing games easier than ever. 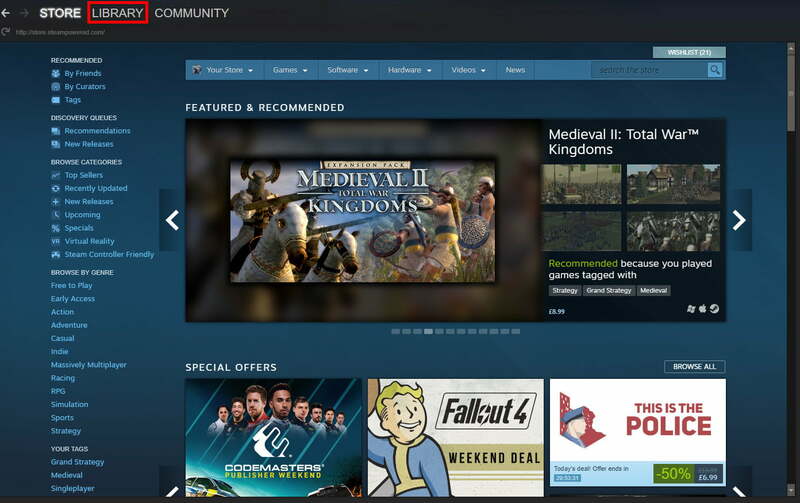 If you play games on a PC, there is a very good chance you’re using Steam. But with many games requiring more and more storage space for all those HD textures and uncompressed audio tracks, most players don’t have space for every game on their hard drives. If you’re switching to buying games on the new Epic Games store, you might not even want your older collection of Steam games installed on your system at all, and Epic is quickly building up its own library of digital titles. Luckily, we’ll show you how to uninstall Steam games so you can clear space on your hard drive. Steam lets you uninstall and reinstall any game you’ve paid for whenever you want. The process is almost as easy as installing them in the first place. In this guide we’ll teach you how to uninstall Steam games, taking you through the process step by step. If you’re in running low on storage space but don’t want to delete your favorite games, consider some indie titles instead, or how about a bigger, better hard drive? The quickest and easiest method to uninstall a game is through Steam itself. Step 1: Open the Steam client and log in, if required. 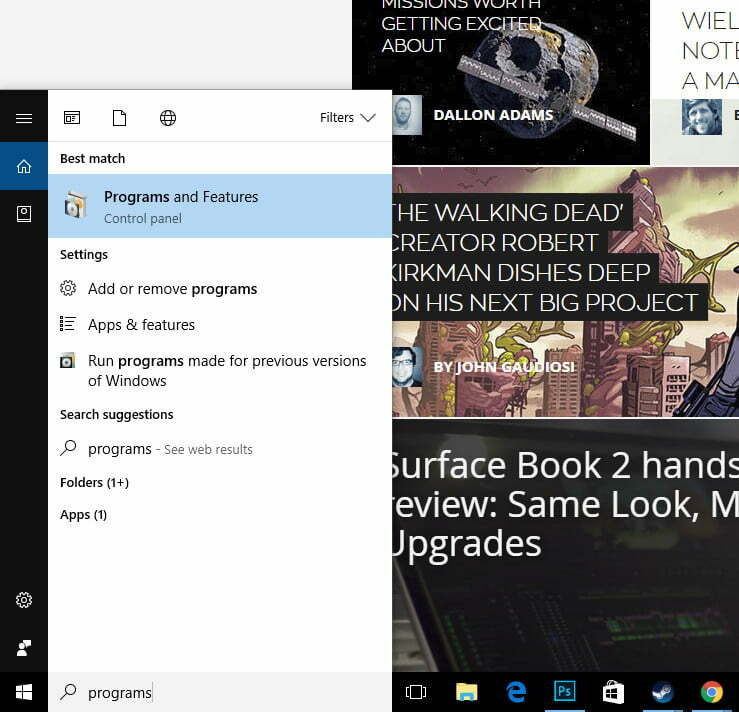 Step 2: Click the “library” tab in the top navigation menu. 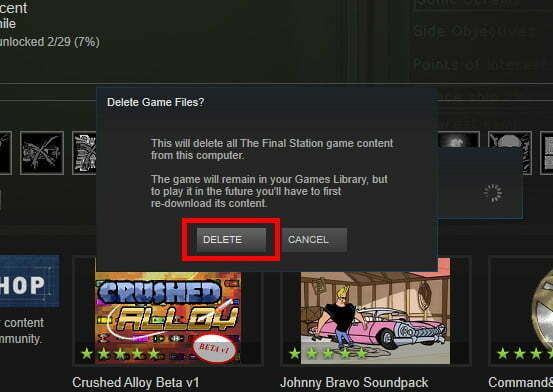 Step 4: Steam will confirm with you whether you want to completely delete the game. When you are ready, click the “delete” button. The game will now be uninstalled. The game name will now appear grayed out in your Steam game list. If you ever want to reinstall it, simply double-click the game’s name, or right-click and choose “install” from the pop-up menu. Then follow the on-screen instructions. To save space on your main drive, you could consider installing the game in a secondary location. If you would rather not uninstall your games directly through Steam, you delete the game at the system level. Much like any other Windows application, you can uninstall your Steam games through Windows’ own “Programs and Features” menu. Although this process will still take you to the Steam interface for the final step, you might prefer this method if you’re cleaning out various parts of your system at once. Step 2: Find the game you want to uninstall. Listing every program by name or install date may help you find things quickly. When you’ve found it, click “uninstall” from the menu above, or right-click the game and click “uninstall” from the resulting menu. Step 3: You will then be taken to the Steam interface. Log in, if needed. When presented with the final confirmation box, click “Delete” to finalize the uninstall. Your game will be deleted. There is no way to reinstall a game purchased on Steam without using the Steam interface. 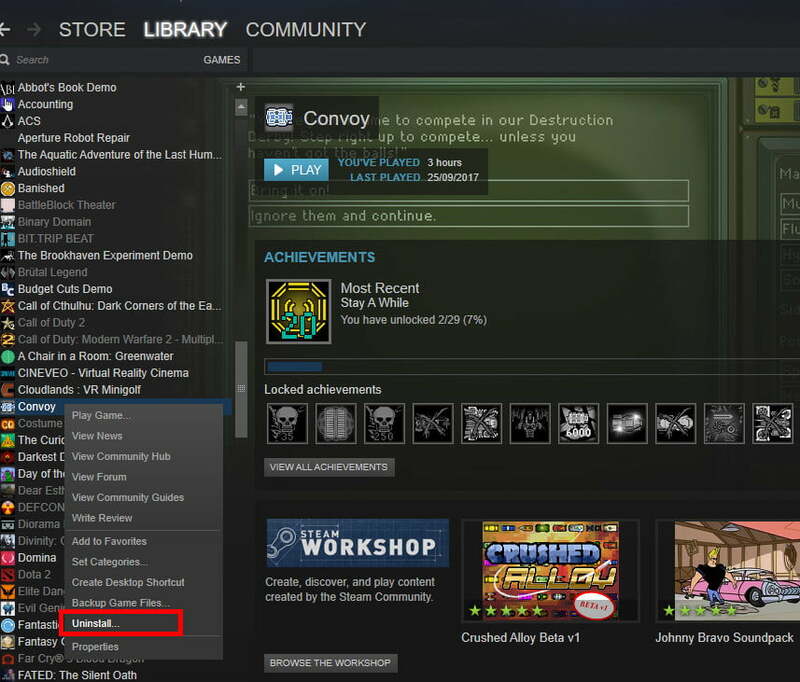 If you want to reinstall the game at a later date, enter Steam, select the game from your library, and either double-click the game name. You can also right-click the game name, then select “install.” From there, simply follow the on-screen instructions. 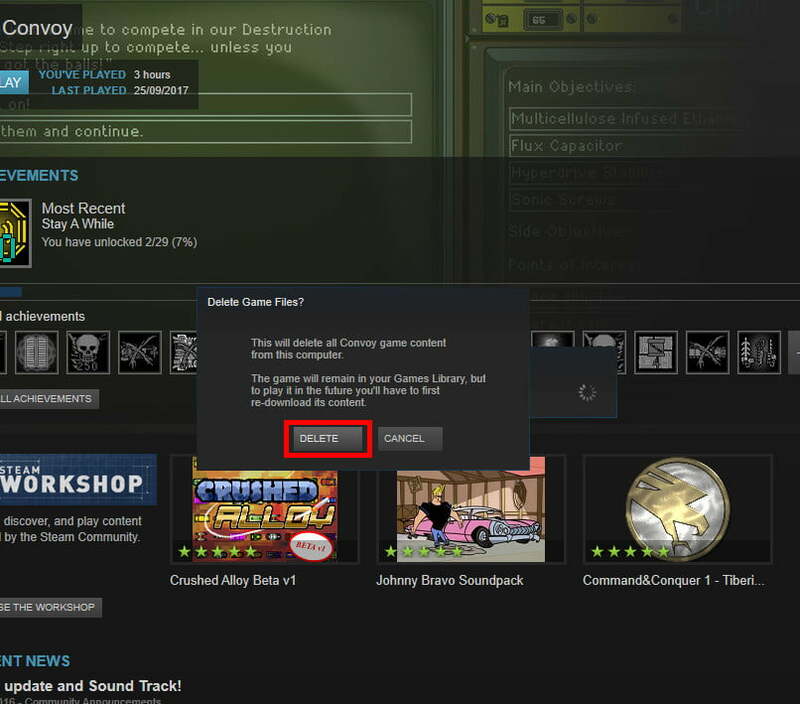 Although the above methods are the best ways to remove a game from Steam, you can also delete the game manually. 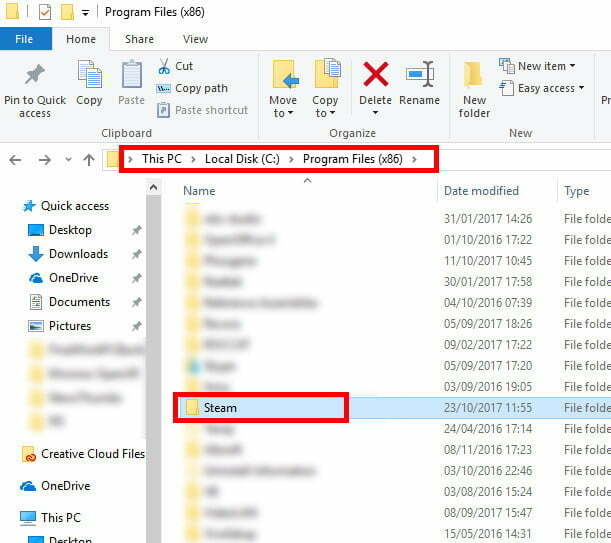 This is the best way to ensure that the game has been removed from your system entirely, though it won’t remove the game from your Steam library, which may get confusing down the line. Step 1: Navigate to your Steam installation folder. When running Windows 10, the default installation location is C:Program Files (x86)Steam. Step 2: Open the “Steamapps” folder, followed by the “Common” folder. Step 3: You should now see a list of game folders. Find the game you want to remove, then either select its folder and press the delete key on your keyboard or right-click the folder and choose “delete” from the resulting menu. The game will now be removed from your computer. It may still show up as ‘white’ or installed, in your Steam library, but it won’t be playable without updating and reinstalling all of its respective files. 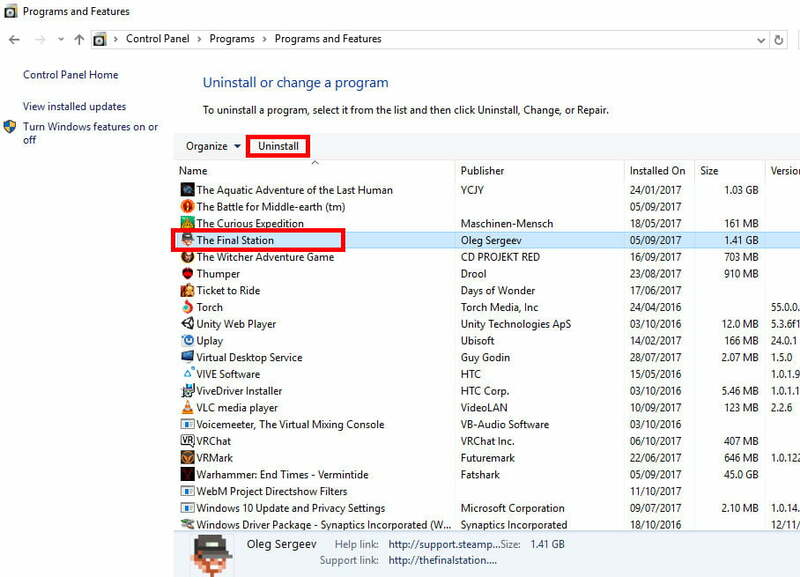 If you want to completely remove every mention of a game from your system, you may also need to delete its configuration and save files, which are typically located in either your “Saved Games” folder, “Documents” folder, or “AppData” folder in C:Users[YourUsername].